From "This ain't it" to "It's lit": The Crossover ranks all 30 NBA teams by entertainment value heading into the 2018-19 season. 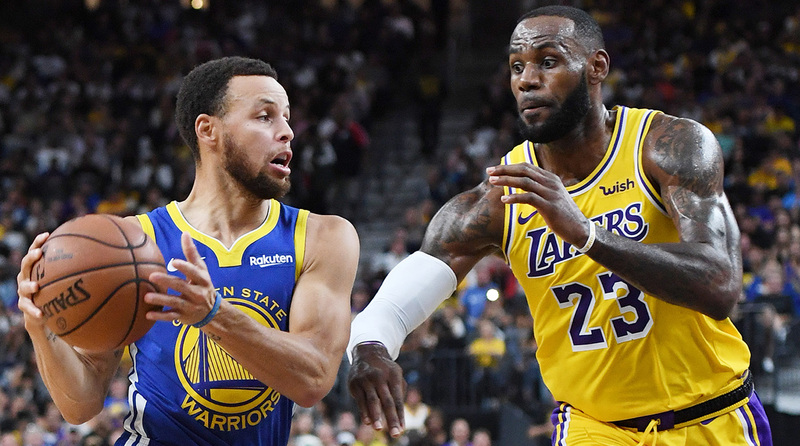 The Warriors can be accused of sucking some of the drama out of the playoffs by manhandling, and occasionally sweeping, the opposition, but their wide-reaching impacts on basketball have been indisputability positive. With rivals getting more desperate to break up their dynasty, the champs deserve credit for making the league faster, more explosive and more intriguing. In fact, last season saw pace and scoring reach their highest points since 1991. Aspiring contenders got more inventive in how they matched up with Golden State too. Small forwards started playing center. Shooting guards started playing power forward. Offenses trotted out lineups with four capable ball-handlers and five reliable three-point shooters. Defenses increasingly started to switch every screen, leading to a renaissance in playground-style, one-on-one isolation ball. These wrinkles turned the playoffs into a fascinating, frenetic and fan-friendly chess match, as superstars were granted space to showcase their brilliance and weak links were hurried off the court. Once summer hit, A-listers like LeBron James and Kawhi Leonard were forced to find deeper and more versatile supporting casts. With those developments in mind, here’s how the ever-evolving NBA shapes up in terms of entertainment value, from “This ain’t it" to "It’s lit.” Criteria include projected success, style of play, firepower, age, health, coaching and personality. 30. Orlando Magic: If centers were the only eligible players, Orlando would be a juggernaut. Unfortunately, that’s not how the NBA works at all, and the Magic’s lack of perimeter firepower will doom them to another year of slog. 29. Chicago Bulls: Don’t let their supposed scoring potential fool you; the latest edition of Chicago’s rudderless rebuild is entirely lacking in cohesion and defensive aptitude. Did the front office assemble Zach LaVine, Jabari Parker and the rest of this one-way roster in hopes of turning mild-mannered coach Fred Hoiberg into a raging lunatic? 28. Atlanta Hawks: While top-five pick Trae Young has drawn comparisons to Steve Nash, remember that it took five years for the Hall of Fame point guard to blossom as a star. Extreme patience is required given the Hawks’ shoddy roster, but Young should be good for some long-bombing goodness and dazzling assists as he learns on the job. 27. Sacramento Kings: It would be so fun to watch the Baby Kings—De’Aaron Fox, Marvin Bagley III and Harry Giles—lead a March Madness run. Alas, they play in the Western Conference, where they won’t be able to guard anyone and will finish in last place. 26. New York Knicks: In theory, the Knicks are doing a decent job of positioning themselves as a superstar landing pad next summer. In practice, they are a frightfully young team that’s going to take serious lumps until Kristaps Porzingis makes his long-awaited return from a knee injury. 25. Cleveland Cavaliers: LeBron James’s departure turned the defending East champs into a group of forgotten men. Kevin Love should kill it for his fantasy owners, but there aren’t enough creators or perimeter defenders to keep this ship afloat. Cavaliers fans are advised to take solace by re-watching tape of the 2016 Finals and subsequent championship parade on loop for the next 12-36 months. 24. Brooklyn Nets: The Nets have been so hopeless for so long that they’ve become the NBA’s version of late-developing toddlers: every baby step is treated like a massive milestone. For all the plaudits they received after gutting out 28 wins last season, they’re not any closer to finding a franchise player than they were in 2015. 23. 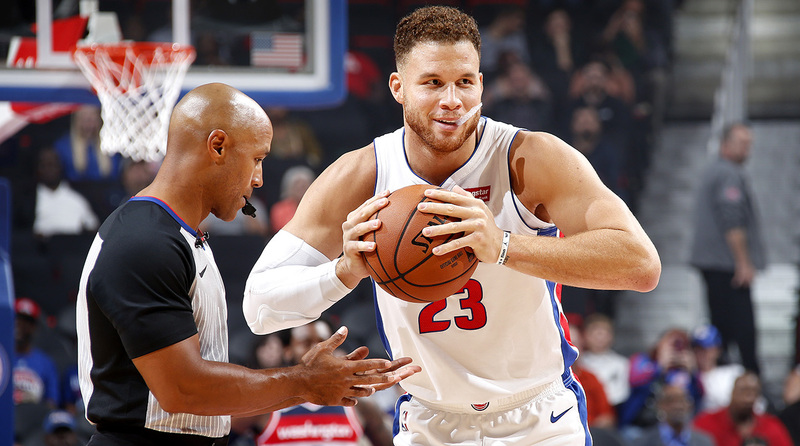 Detroit Pistons: Motor City Blake Griffin just can’t match the Lob City version when it comes to pop and impacting wins. It’s a good thing that new coach Dwane Casey is a master at managing difficult personalities; his ill-fitting core is full of them. 22. Minnesota Timberwolves: The Jimmy Butler holdout circus left the Timberwolves dead on arrival and without enough camaraderie to build on last season’s progress. Look for Karl-Anthony Towns to make another leap forward, but it won’t be enough to pull Minnesota out of its neck-deep dysfunction. 21. Charlotte Hornets: Michael Jordan traded for Dwight Howard, replaced his coach, replaced his GM, and then traded away Howard… and yet he still has no meaningful progress to show for his efforts. The Hornets are stuck in the same old ditch, hoping that Kemba Walker can lift an underwhelming supporting cast to .500. 20. Memphis Grizzlies: Last year’s league leaders in misery at least got a future star in Jaren Jackson Jr. to show for it. The 19-year-old rookie big man will be free to develop at his own pace, as Memphis lacks the firepower and depth around the Mike Conley/Marc Gasol tandem to be a serious factor in the West. 19. Phoenix Suns: Instead of mimicking the carefree exuberance of the Embiid/Simmons Sixers, the Booker/Ayton Suns remain entangled in their own internal drama. GM Ryan McDonough was fired one week before the season started, leaving the enticing duo to take the court with a rookie coach and without a proven point guard. 18. San Antonio Spurs: A preseason ACL tear for up-and-comer Dejounte Murray was the straw that broke the camel’s back. No Kawhi Leonard, no Manu Ginobili, no Tony Parker and now a huge hole at point guard which casts a deflating cloud over the whole season. Gregg Popovich’s “Beautiful Game” offense will cede the court to the brutish mid-range games of LaMarcus Aldridge and DeMar DeRozan. No thanks. 17. Los Angeles Clippers: With so many players coming back from injuries and arriving by trade, the Clippers’ motto should be, “Huh, I forgot he was on this team.” Chris Paul, Blake Griffin and DeAndre Jordan are all gone, but their less-famous replacements are energetic, plucky and well-coached. 16. Miami Heat: The Dwyane Wade retirement tour will no doubt play well in the 305, but neutral observers can be forgiven for tuning out the Heat until they are restocked with top talent. While Erik Spoelstra puts out a reliably gritty product, a rotation full of role players isn’t going anywhere. 15. Indiana Pacers: Give the Pacers their due: they were last year’s most pleasant surprise — far better and more engrossing than expected. Victor Oladipo’s breakthrough as both a two-way star and a locker-room leader should keep the momentum going. 14. Dallas Mavericks: Dirk Nowitzki’s twilight has been sad and painfully slow to unfold; No longer. Prized rookie Luka Doncic and center DeAndre Jordan might not be enough to vault the Mavs into the playoffs, but they will spark a dramatic increase in highlights per minute. 13. Washington Wizards: When John Wall is rolling, his Westbrook Light act is must-see TV. But the Wizards are also an enjoyable hate-watch, especially now that they’ve added two infamous irritants in Dwight Howard and Austin Rivers. Come for the 50-win dreams, stay for the inevitable carnage. 12. Utah Jazz: Despite their glacial pace, the Jazz can’t be written off as boring any more. Donovan Mitchell gives Utah a combination of explosiveness, charisma and shot-making that it hasn’t had in decades. Or maybe ever? 11. Portland Trail Blazers: Bless Damian Lillard and CJ McCollum for their patience. Following four straight empty off-seasons, most backcourts this mesmerizing would generate at least one trade demand by this point. The top-heavy Blazers can’t be trusted in the playoffs, but they have proven that they can put on a show. 10. 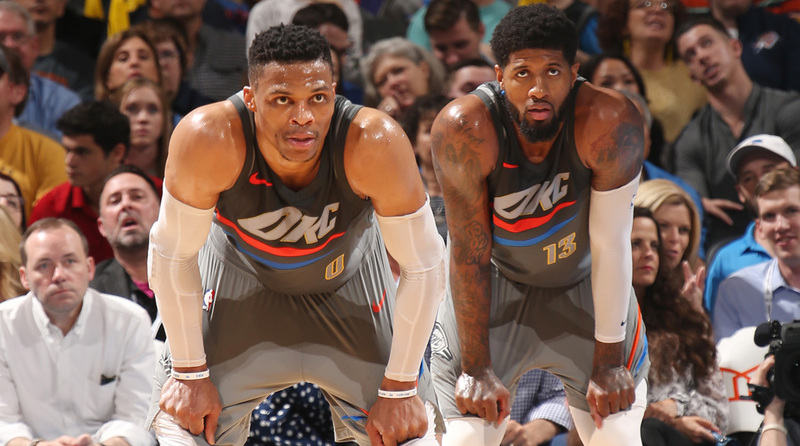 Oklahoma City Thunder: The further the Thunder progress in the post-Kevin Durant era, the clearer it becomes that their shot at winning a title departed on July 4, 2016. Acknowledging that fact makes for a more enjoyable experience. Russell Westbrook’s magnificent anarchy is simply more fun when one isn’t obsessing over whether it correlates to high-level team performance. 9. Toronto Raptors: With a standoffish superstar (Kawhi Leonard) and a surly sidekick (Kyle Lowry), the Raptors aren’t going to be winning a ton of hearts and minds with their personality. They should, however, command respect, thanks to a deep cast of versatile guards and wings that regularly creates match-up advantages. 8. Milwaukee Bucks: They’ve been the mixed-feeling masters in recent years, inspiring equal doses of wonder at Giannis Antetokounmpo’s meteoric rise and disdain at their unsophisticated offense. New coach Mike Budenholzer’s commitment to best practices—spacing and ball movement—will free Antetokounmpo to chase the franchise’s first MVP award since Kareem Abdul-Jabbar in 1974. 7. New Orleans Pelicans: Better late than never: New Orleans finally discovered that the right way to utilize Anthony Davis’s dumbfounding athleticism was to turn every game into a cross between a track meet and a dunk contest. New Orleans always needs more capable wings, but Nikola Mirotic and Julius Randle are two good frontcourt fits who should help keep the pace humming. 6. Denver Nuggets: Basketball Twitter has a bad habit of being too early to hype rising teams. The Nuggets were that misguided pet project last year: Jamal Murray wasn’t quite ready, Paul Millsap got hurt, and their chemistry never came together. Denver is now ready for its long-anticipated breakthrough thanks to a starting lineup that boasts five efficient scoring options, including Nikola Jokic, an exquisite playmaking center. 5. Boston Celtics: The Celtics are meant to be savored rather than ogled, even though Kyrie Irving can go deke for deke and dribble for dribble with any ball-handler in history. From well-honed lineups to purposeful ball movement to crisp late-game execution, Boston’s “wow” factor derives from its collective intelligence and diligence. 4. Houston Rockets: James Harden, Chris Paul and Clint Capela eradicated defenses in their first year together. The Rockets’ tendency to engage in antics and gimmicks shouldn’t detract from their ruthless commitment to seeking threes and dunks. They’re so seasoned at Moreyball that even Carmelo Anthony can’t screw this up. 3. Philadelphia 76ers: Ben Simmons and Joel Embiid spent last year joyriding through a “We’re way better than you thought… right now” honeymoon. An increase in expectations and pressure shouldn’t dampen the fun. Simmons is as forceful and creative as LeBron James and Giannis Antetokounmpo when he gets a full head of steam, and Embiid’s cockiness and physicality make him the Instagram era’s answer to Shaq. 2. Los Angeles Lakers: Magic Johnson and LeBron James have collaborated on a masterclass in intrigue, even if LA can’t be viewed as a genuine contender. James will play at perhaps the fastest pace of his career, surrounded by promising prospects, volatile veterans and fall guys galore. The Lakers’ hype will no doubt exceed their ability, but they’ll be a TV ratings monster all the same. And rightfully so. 1. Golden State Warriors: So-called “Warriors fatigue” has gotten out of control. Steve Kerr’s crew accomplishes more in its electric 12-minute bursts than most teams get done in a week. Isn’t Stephen Curry still the NBA’s best pound-for-pound showman? Isn’t Kevin Durant still the best pure scorer? Isn’t Draymond Green still the top all-around defender? Isn’t DeMarcus Cousins still the biggest wild card? If Durant bolts from the Bay next summer, know this: the full force of Golden State’s magic will be sorely missed once it’s gone.